The crackdown that has occurred under Trudeau has been stricter than under any previous government, including that of former Conservative prime minister Stephen Harper, she said. While the police busts of storefront pot dispensaries have received most of the media attention, Roach said it’s the stealth campaign by city bylaw officials that is truly hurting. 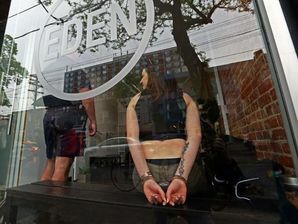 Landlords who rent to these businesses are being contacted by city officials, pressured to break “legal” leases with the dispensaries, she said. In a recent editorial board meeting with the Toronto Star, Trudeau supported the legal crackdown. The Liberals government’s position is consistent with its election promise, he said. Marijuana Won Big In The Election — How Can You Take Advantage Of Legalization?